Navicare with its team of de-addiction specialists and experience can help you lead an addiction free life that affects you and your family. The treatment is intended to help addicted individuals to stop compulsive drug seeking and substance use. 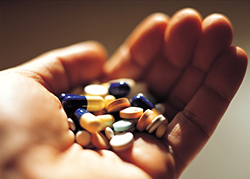 Medications or their combinations, both are equally important as they work on different aspects of addiction. Combinations of behavioral therapies and medications generally appear to be more effective than either approach used alone. Treatment enables people to counteract addiction’s powerful disruptive effects on the brain and behavior and to regain control of their lives. In addition to stopping drug abuse, the goal of treatment is to return people to productive functioning in the family, workplace, and community. Every individual’s progress varies and depends on the level of treatment required, so there is no predetermined length of treatment. However, research has shown unequivocally that good outcomes are contingent on adequate treatment length. Suggested treatment lasting significantly longer (6 to 9 months) is recommended for maintaining positive outcomes and prevents relapses. The personalized care packages range from a single everyday service to long-term care package, and prices vary between geographies and severity of the addiction. Our care packages starts from Rs.4,000/ month. To know more details contact on help line 1800-419-0702.